I love rainbows! Apparently Sam from Color Made Happy does, too. 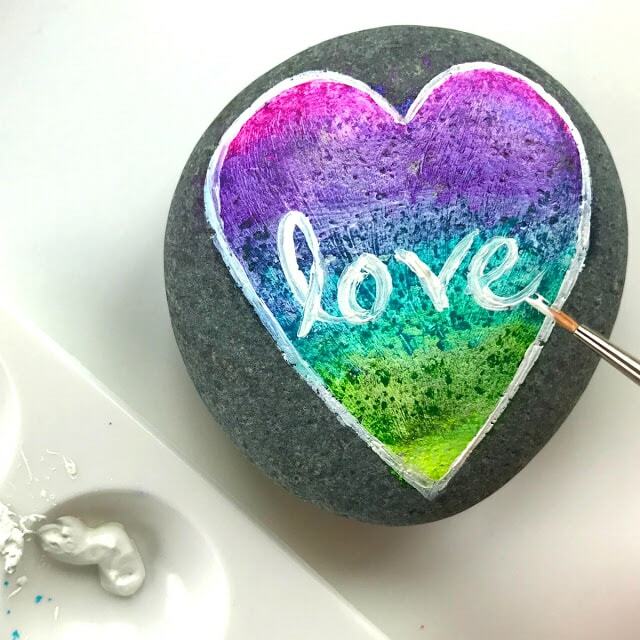 She has a great tutorial where she teaches you how to upgrade your regular painted rocks with oil pastels to do all kinds of pretty things - like make the LOVE rocks pictured above. She also shows you how to upgrade your rainbow rocks to fancy zentangle painted rocks. Click the link below to check out her tutorial.